The German one-way deposit system is a prime example of the European Commission’s demand to expand the circular-flow economy. It already largely meets the requirements for recycling PET bottles specified in the Packaging Act. However, the requirements will be further reinforced with the amendment to the Packaging Act, which takes effect on 1 January. Beverage producers and bottlers in particular will have to meet this demand for more sustainable packaging as part of the materials cycle. More and more consumers are demanding sustainable packaging solutions. Meet this development with innovative PET bottles and highlight particular quality and customer orientation. As a bottler, you decide on the use of preforms with a higher recyclate content – naturally taking into account economic aspects and production efficiency. The use of more recyclate is an important step towards making PET bottles more sustainable. 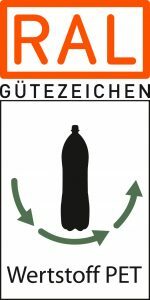 The RAL Gütegemeinschaft Wertstoffkette PET-Getränkeverpackungen e.V. is your partner for jointly developing innovative solutions for an effective materials cycle and making a positive contribution to resource efficiency and to environmental and climate protection. This way you will strengthen a sustainable corporate image and position yourself against your competitors. Protect resources together with recyclers and preform manufacturers under the roof of the Quality Assurance Association for Resources . Our quality and test specifications define the content and scope of the requirement profile for blow-moulding PET bottles and filling them. 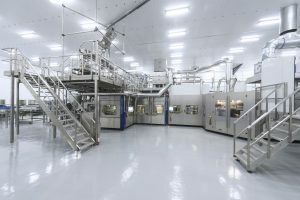 In the process stages such as blow-moulding, for example, conformity with consumer goods legislation must be maintained by means of migration tests or sensory tests. The shape, segment weight and inclusions are also tested. Further information can be found in our test and quality regulations for bottlers.